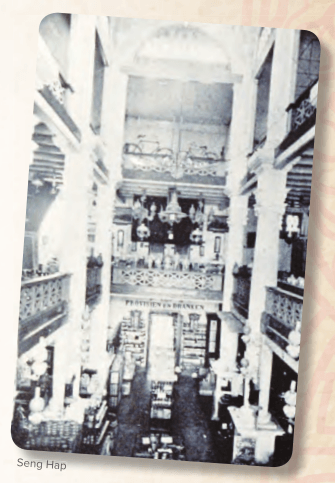 Tan Boen Djin, born in Medan in 1914, was the youngest son of Tan Tang Ho, owner of Seng Hap, which was the most beautiful and luxurious shop of the city. Tan Boen Djin could spend hours talking about his father, how he from a poor Chinese kelontong trader with two baskets on his shoulder managed to become a prominent citizen of Medan. Seng Hap imported goods and food from Europe, America, China and Australia. The impressive department store was opened in 1900. In subsequent years the department store flourished. Tan Tang Ho died in 1918. This was shortly after his eldest son Tan Boen An was the first Chinese citizen democratically elected as a member of the Town Council. Tan Boen An continued for nearly 20 years as a member of the council. He also held a variety of other positions. He was chairman of the Chinese music association, the Chinese sports club and was on the board of the Su Tung Secondary school. Everyone knew Tan Boen An. In 1918 Tan Tang Ho passed away and Tan Boen An took over the parental responsibilities for his younger brother Tan Boen Djin. Tan Boen An had visited the Dutch school and sent Boen Tan Djin to the Christian School with headmaster Klevant. To perfect his Dutch Tan Boen Djin even went to live in the house with family Klevant. The contact with Klevant was not accidental because Mr. Klevant rented a villa which was owned by the company Seng Hap. Klevant, together with Tan Boen An also was a member of the City Council. Young Tan Boen Djin was boarded with the family Klevant, along with the sons of the Sultan of Langkat and Serdang. Tan Boen Djin could get along very well with the Klevant family and in 1932 he joined them to the Netherlands and attended the last two years of high school in Harderwijk where he stayed with the sister of Mrs. Klevant. 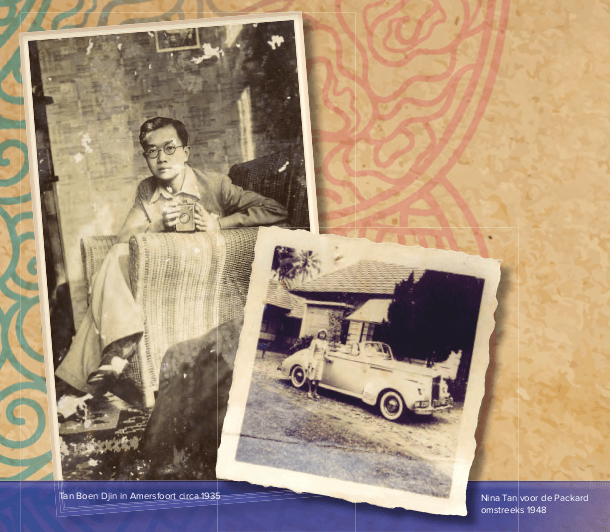 After high school Tan Boen Djin attended the School of Commerce in Amersfoort for three years and after his graduation he sailed back to Medan in 1937 to manage the Seng Hap firm together with Tan Boen An and his other brother Tan Boen Hok. In 1938 he married Margaret (Nina) Wee, they had three children, two daughters and a son. During the wedding in the building of the Hokkian Hwe Koan the champagne flowed and the Chinese, Indonesian, and Dutch elite of Medan were present. The same year the Tan family received General Woo, who was the right hand of Chinese President Chiang Kai Shek. General Woo came especially to Medan to visit the widow of Tan Tang Ho because of her husband at the time had made substantial donations to the ruling Kuo Min Tang party. In 1938 there was a war going on between China and Japan, the latter had occupied Manchuria, and General Woo traveled through the Dutch Indies to acquire financial support to fund the war. When the war was over in August 1945, General Woo travelled back to Indonesia as a special envoy of the Chinese government, now to meet President Soekarno. Shortly after the war, an even more famous name than General Woo drove over Sumatra in the luxury Packard cabriolet of Tan Boen Djin. The Packard was confiscated during World War II by the Japanese for their army commanders. After the Japanese surrender, the Packard was confiscated again, this time by the Allied high command, and Lord Mountbatten, Supreme Commander of the Allied forces in Asia, was driven around in Tan Boen Djin’s car. Once the Allies had left Tan Boen Djin got his Packard back. Tan Boen An died shortly after the war, but Boen Tan Djin has grown old. In the 1960s he was a founding member of the University of North Sumatra. However he had to sell the company Seng Hap as he had no potential successor. Tan Boen Djin passed away in 2009, he was 95 years of old.